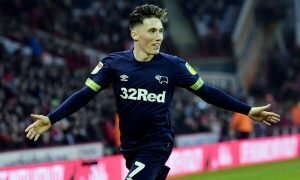 Pressure on: It's a major season for this £3.5m-rated Leeds United star to prove he's worth it | The Transfer Tavern | News, breakdown and analysis on all things football! 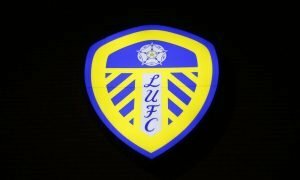 Marcelo Biela’s Leeds United revolution got off to a near-perfect start, as the Whites beat Stoke City 3-1 at Elland Road. Leeds United faced a real tough test in the first game of the season, with relegated Premier League side Stoke City coming to West Yorkshire. Bielsa’s side played with intensity and attacking intent, and looked the real deal under their meticulous and tactically fearless boss. They ran out comfortable winners over the Potters, and in truth dominated the game from start to finish. For some Leeds players, this is the season to really show their worth to the club. In particular, this could be Kemar Roofe’s break-out season. 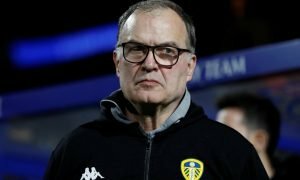 Roofe will likely suit Bielsa’s attacking style, so it could be good news all around. Roofe joined Leeds United for around £3m in 2016, from Oxford United. This came after he scored 26 goals for Oxford in all competitions in the 2015/16 season, which saw the club promoted from League Two to the third tier. He is now valued at £3.5m by Transfermarkt. Still, the forward has had mixed fortunes since his move away from Oxford. Utilised as a lone forward, Roofe has struggled. This is unsurprising, since this role isn’t playing to his strengths. He thrives on cutting inside from the wing, and releasing a fierce low shot. It is in a wide-role where Roofe really shines, and judging by the opening fixture he will have a fair amount of freedom going forward. Not just a goal-scorer, Roofe is also very capable of creating chances for others. In a Marcelo Bielsa side, Roofe will not have to play the lone-role, so this could well be a break-out season for the attacking talent, where he finally justifies the £3m he cost the club.